1. The volume of 12 oz hot paper cups is large so more beverage could be hold. 2. The rim of the single wall hot paper cups is round and smoothful. 3. The walls of the white hot paper cups are thick so the cups feel stiff and are more durable. 4. The Paper and PE of the white hot paper cups are foodgrade. 5. The white hot paper cups with no print are more environmentally friendly. 6. 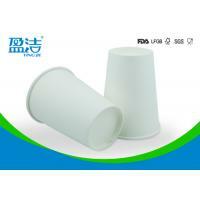 The thick PE layer of the white hot paper cups prevents leakage effectively. 1. 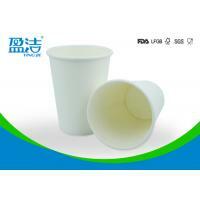 Single wall disposable hot paper cups are best for hot coffee,hot milk,hot tea. 2. 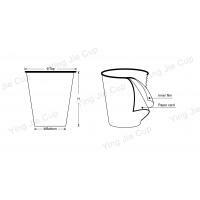 Single wall disposable hot paper cups with lids are easy for takeaway,picnic,barbeque. 3. 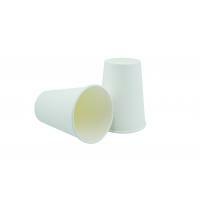 Single wall disposable hot paper cups are suitable for supermarkets,stores,vending machines. 4. 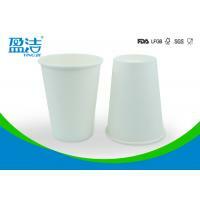 Single wall disposable hot paper cups are convenient for office and family. 1. Inspection of first piece of every mould of every machine by QC. 2. Worker self inspection of every piece. 3. QC random inspection every hour for every machine. 4. QC inspection of every carton before sealed. 5. QC random inspection of stock before delivery. A:Yes,your logo or design could be printed on the cup,in the meantime,we use flexo print,which is fully eco friendly. A:For custom print,the MOQ for production is 50,000pcs/size. A:Yes,free samples could be supplied for your evaluation,and you need bear express fee. A:The shipping port is Guandong port,China.